This entry was posted in Cultural Fusion, Hapa culture, Kogawa House 2007+, Ricepaper Magazine and tagged aboriginal, arts, Kogawa House, literarture, ricepaper on April 7, 2013 by admin. The largest meeting room at the downtown Vancouver Public Library was full. Anna Kaye Ling was moderating questions from the audience to poets Fred Wah, Joanne Arnott and Tanya Evanson. Ling is one of the co-founders of the brand new Hapa-Palooza Festival, and is also a director for Asian Canadian Writers' Workshop – the sponsoring organization, that helped submit the grants to Vancouver 125. Each of the poets grew up from mixed race ethnic backgrounds. Wah is Swedish/Chinese/Scottish/Irish, Evanson is Black/Mixed Caucasian and Arnott is Metis/Mixed. I've known Fred Wah since 2003, when Asian Canadian Writers' Workshop presented him with the ACWW Community Builder Award. A few years later, I invited Wah to be the featured poet at the 2005 Gung Haggis Fat Choy Robbie Burns Chinese New Year Dinner. It would be simple if as the last person from the audience to ask a question, suggest that we forego all labels of race or ethnicity and simply “recognize each other as human beings.” But poetry and experience that addresses growing up mixed-race isn't that simple. Humankind has always created a sense of “otherness” to shun those “not like us.” Wah's award winning poetry books “Diamond Grill” and “is a door” both address the joys and pitfalls of “looking different”. While the topic of racism, and not fitting in on both your mother's side, and your father's side, was upsetting to some members of the audience, there was a larger sense that this was community. It was a community of recognition. It was a community of meeting other people like themselves. It was a community that was saying “our time has come,” as Canada's first Festival celebrating Mixed Ancestry kicked off it's first of 4 days. Hapa is a Hawaiian term meaning Half. It is historically used to describe somebody as hapa haole (half white), but recently it has been used to describe somebody who is half Asian or Pacific Islander. But now it being used to describe a new emerging tribe of Hapa-Canadians, and their culture – similar to the use of the word Metis. Historically, Metis was used to describe anybody of First Nations and European heritage. These people were not fully accepted in either culture, and thus created their own. And today Hapa is doing the same. I looked around the room, and saw many Hapa Canadians that I knew, didn't know, and some who were my friends. Rema Tavares, founder of www.mixed-me.ca had flown out from Toronto to excitedly attend this festival. Brandy Lien Worrall was holding her new 4 month old Hapa baby, born of Hapa-Vietnamese-Chinese-Pensylanvian Duth, and Hapa-Filipino parents. Ricepaper Magazine (published by ACWW) was there with our managing editor Patricia Lim, and intern Cara Kuhane – who is a Hawaiian born Hapa. And I saw my cousin Tracey. We are both descended from Rev, Chan Yu Tan, our great-great-grandfather who came to Canada in 1896. Her father is Anglo-Canadian. When she graduated from high school, as a present, I took her to see the play Mixie and the Half-Breeds, written by my Hapa friends Adrienne Wong and Julie Tamiko Manning. Tracey enjoyed it tremendously, as it addressed issues of mixed race identity. Afterwards we went out to eat with Julie and Adrienne. It was one of the first times Tracey got to meet Hapa artists who actively developing Hapa culture! Tonight, my little cousin Tracey, is in 3rd year university, and embracing her Hapa-ness by volunteering as a photographer for the festival. I introduced Tracey to poet Fred Wah, then in the audience we said hello to poets Roy Miki and Daphne Marlatt. I introduced her to the co-founders of the Hapa-Palooza, my Hapa friends Jeff Chiba Stearns, Zarah Martz and Anna Kaye Ling. This is my community, which recognized and embraced her as Hapa. They commented how wonderful it was that Gung Haggis Fat Choy was one of the inspirations for Hapa-Palooza, and how my Hapa cousin was possibly one of the inspirations for me creating Gung Haggis Fat Choy, as I had wanted to create an event that was inclusive for my family members who were Scottish and Chinese and Hapa. If more families had members who were of diverse ethnic ancestry, and had more Hapa children – then hopefully there would be less racism. Because if everybody is related and inclusive to every other race, then it would be harder for politicians to pass laws and legislation such as the Chinese head tax, the Chinese Exclusion Act, the Potlatch Law, the internment of Japanese Canadians, and excluding First Nations from voting until 1960… as Canada did in the 19th and 20th Centuries – because you're gonna hear it from your in-laws! 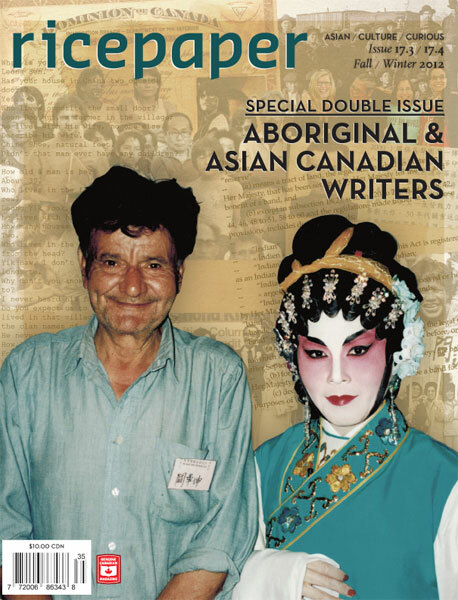 This entry was posted in Asian Canadian Cultural Events, Canadian Identity & Heritage, Cultural Fusion, Hapa culture, Literary Events, Main Page, Multicultural events, Recent Reviews, Vancouver Heritage and History on September 8, 2011 by Todd. This is an exciting idea whose time has come. The seeds were planted at the 2011 Gung Haggis Fat Choy Robbie Burns Chinese New Year Dinner – which featured Hapa-Canadians Jeff Chiba Stearns, Jocelyn Pettit, Patrick Gallagher, and Jenna Chow as artists and co-hosts. Following the end of the last singalong to Auld Lang Syne, some of our performers and organizers met and discussed the idea of a Hapa-oriented festival or event. ACWW directors Anna Ling Kaye and Tetsuro Shigematsu (co-host for the evening) were very enthusiastic. It was Anna who followed up on the idea and quickly arranged a meeting with Jeff Chiba Stearns. Zarah helped her as they made an application for Vancouver 125 funding. I am very pleased that many of the performers featured have also been featured at past Gung Haggis Fat Choy events such as poet Fred Wah, fiddler Jocelyn Pettit and film makers Jeff Chiba Stearns and Ann Marie Fleming. screenings with Q&A from the filmmakers! Prepare to be blown away by Vancouver’s incredible mixed talent! This entry was posted in Asian Canadian Cultural Events, Canadian Identity, Canadian Identity & Heritage, Cultural Fusion, Hapa culture, Literary Events, Main Page, Multicultural events, Music, Scottish, Gaelic, Irish Celtic events and stories on September 1, 2011 by Todd. His father gave him Irish ancestry and his mother bestowed her Chinese ancestry. He is a perfect co-host for Gung Haggis Fat Choy Robbie Burns Chinese New Year Dinner, along with fellow co-hosts Tetsuro Shigematsu, CBC Radio reporter Jenna Chow and founder Toddish McWong. Peter's sister Margaret Gallagher has both co-hosted and performed at past Gung Haggis Fat Choy dinners. At those events, Margaret would help us lead the singalong “When Asian Eyes Are Smiling,” then we would sing a round of “When Chirish Eyes Are Smiling” – just for Margaret. and as Awkward Davies in Master and Commander. 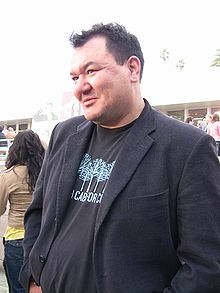 No longer on Glee, he has appeared on Trueblood as the vampire bartender named Chow. He has also been recently seen on Hawaii 5-0 and Battlestar Gallactica. Patrick is now a regular on the new Canadian show Endgame, on Showcase this spring, and also has a recurring role on Men of a Certain Age. I've known Patrick for many years, we would bump into each other at theatre events and around town. 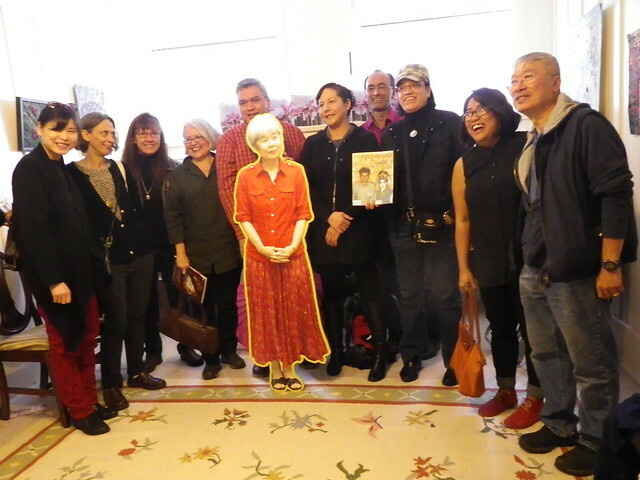 Patrick was a comedic great in the Marty Chan play, “Mom, Dad, I'm Living With a White Girl.” He also performed in the touring production of Naomi's Road, a theatrical presentation of Joy Kogawa's children's novel, based on her Obasan. A few years ago, I going for lunch on Robson with Joy Kogawa, and we bumped into Patrick. While he had performed in Naomi's Road, he had never met the author. I was pleased to be able to make the introductions. And so… it is very very fitting that Patrick Gallagher is now a co-host for Gung Haggis Fat Choy, as we help to raise funds for Historic Joy Kogawa House, as well as Ricepaper Magazine and the Gung Haggis dragon boat team. And…. even though Coach Ken Tanaka didn't get a singing spot on Glee, I think we can offer Patrick a singing feature at our Gung Haggis Fat Choy dinner… as well as a kilt to go along with his fanny pack – which is really just a multi-purpose sporran! What do you think? Utili-kilt for Patrick? This entry was posted in Gung Haggis Fat Choy dinner, Hapa culture, Main Page on January 17, 2011 by Todd. Every year, we invite new people to perform and co-host. For 2011, there seems to be a Hapa theme emerging… people who have both Asian and Caucasian ancestry. Jenna Chow is the voice you hear on CBC Radio One, for the traffic reports on The Early Edition and On The Coast. Jeff Chiba Stearns is a repeat Gung Haggis performer. In 2005, his short film “What Are You Anyways?” thrilled our Gung Haggis dinner guests. This year, his new film takes it to another level, as Jeff explores why all his family members of the Japanese side married non-Japanese partners in the full length documentary, One Big Hapa Family. His take is that there are no halfs – everybody in the family is now 100% Japanese Canadian. 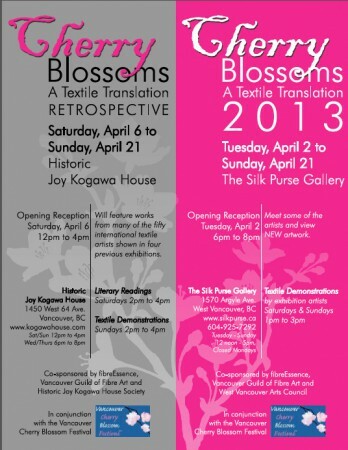 If you are at a table with one of the sponsoring organizations: Historic Joy Kogawa House, ACWW/Ricepaper Magazine, Gung Haggis dragon boat team – then somebody will meet you at the reception area and guide you to your table. This entry was posted in 2011 Gung Haggis Fat Choy Dinner, Cultural Fusion, Gung Haggis Fat Choy dinner, Hapa culture, Main Page on December 25, 2010 by Todd.